Wilderness Accommodation. Find a place to stay in this coastal town a few km outside George.Wilderness just down the Kaaiman’s River Pass has beautiful long white beaches and lagoons. One of the best holiday destinations in the Garden Route of South Africa. Search Wilderness Accommodation and find a perfect place to stay. This town is situated on the Touw River Lagoon. Wilderness experiences an extremely mild climate, and has little temperature variation. 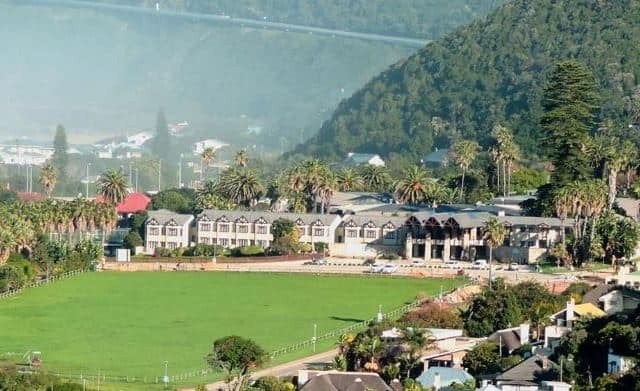 This is typical of the Garden Route and you can expect the temperature to seldom drop below 10 degrees Celsius and rise below 28 degrees.With a year round rainfall. You’re spoiled for choice at Oakhurst. From the historic Forge, one of the very first buildings on the farm, to the beautifully restored and fun-filled Farm Cottages…. Rinkink Beach House is located Less than 30 minutes from the George Airport, and in a safe environment within walking distance to 15 Restaurants. A fabulous holiday for nature enthusiasts, families and Honeymooners. Close to the George Airport, Oudtshoorn, Mossel Bay, Knysna, Plettenberg Bay and the Tsitsikamma National Park. Serendipity is a luxurious waterfront Guest House and Fine Dining Restaurant, situated in Wilderness in the Western Cape Garden Route, cradled by the protected indigenous evergreen Outeniqua forests of Garden Route National Park and the Touw River estuary. The Fairy Knowe is a three star hotel with 42 guest rooms set in the Wilderness National Park Lake District, on the banks of the Touw River. Surrounded by lush gardens with beautiful riverside accommodation and central to all tourist attractions. We are situated almost in the centre of the Garden Route – it’s about 45 minutes’ drive to both Mossel Bay and Knysna, and a little less than an hour to Oudtshoorn in the Klein Karoo, so it’s perfectly placed for tour groups and individuals who want a base from which to explore the region. is situated in the Wilderness, the centre of the Garden Route, 15 minutes’ drive from the George Airport, 45 minutes away from Mossel Bay and Knysna, 1 hour from Oudtshoorn and Plettenberg Bay. 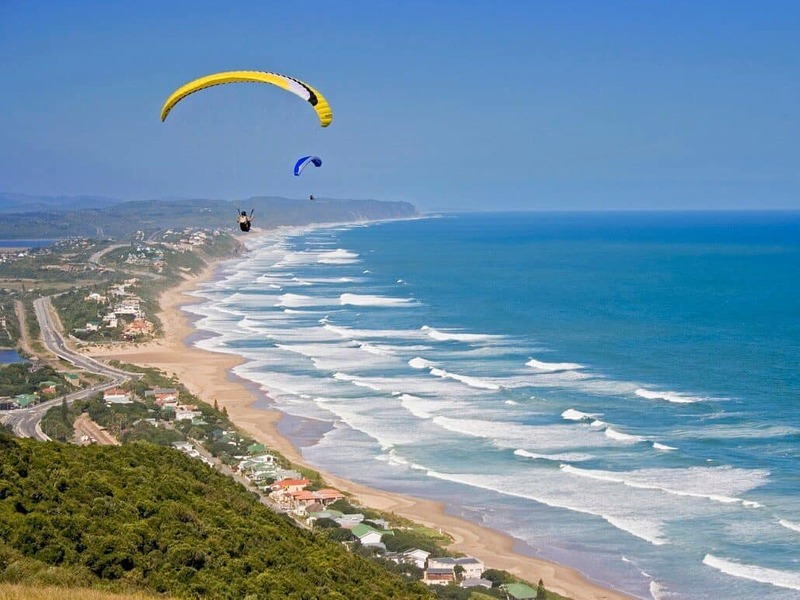 We are minutes away from hiking trails, canoeing, paragliding (instructors take you tandem-gliding), a game reserve displaying the Big 5 and 20 of South Africa`s most scenic golf courses. Due to our elevated position, The Tops Guest House has one of the most beautiful views in South Africa. 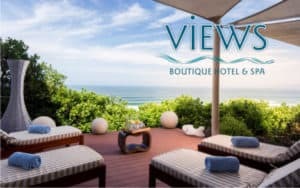 The panorama created by the Indian Ocean and river mouth in the front and the indigenous forest behind, places The Tops Guest House in a most magnificent position with views of the beach and ocean from all our rooms. Steeped in a grand tradition with old-style charm and featuring modern facilities, it is an ideal honeymoon spot, family hotel and an excellent destination for both the tourist and business traveller alike. Whales way ocean retreat is a beautiful bed and breakfast situated right on the beach in Wilderness, a quaint village on the famous Garden Route, Western Cape, South Africa. In the sun drenched garden you will find a small plunge pool and pool towels are provided for your convenience and comfort.